The Doctor's preparing to drop Clara off at the time and place from where he picked her up but when they exit, they find the TARDIS is half its normal size and they're in Bristol. Clara heads off to take a look around while the Doctor stays to try to figure out what's gone wrong with the TARDIS. Clara learns that people have been disappearing, after which they turn up in a mural on a pedestrian tunnel. She calls the Doctor to tell him what has happened and upon returning to the Tardis, finds it even smaller than before. The Doctor can't fit through the small external doors so she tells him to pick up the TARDIS and find whatever is doing the dimensional leaching. He hands her the psychic paper, the sonic screwdriver, and an audio/visual earpiece so he can keep in contact with her. 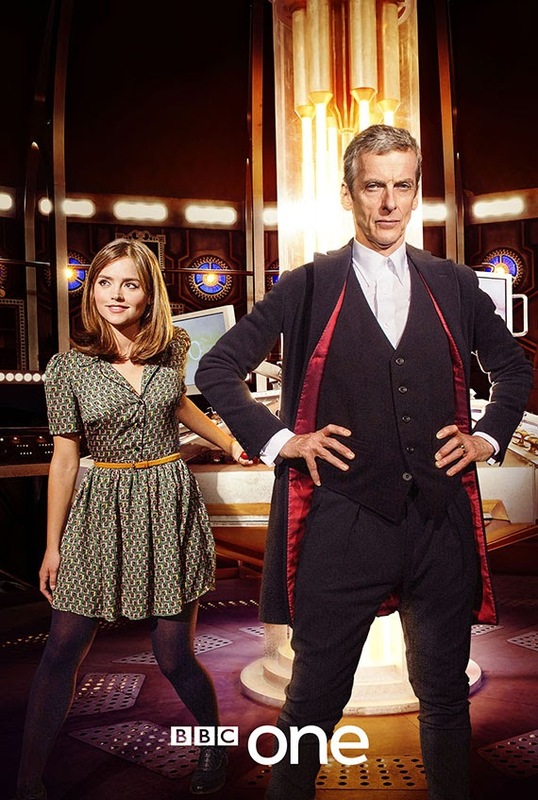 Clara poses as "Doctor Oswald" and befriends a local graffiti artist, Rigsy, who is on community service. The Doctor doesn't quite trust him but eventually decides he may be useful. Clara shows Rigsy the Doctor and the TARDIS to gain his trust as he's about to leave the flat of the first known missing person. They also team up with PC Forrest, a police officer. The Doctor wants Clara to tear out the walls of the flat because the energy source may be inside them. When PC Forrest steps out of the room, Clara and Rigsy hear her scream as she is seemingly sucked into the floor. When they run out to check on her, she is gone. They find a strange mural and the Doctor determines that it is PC Forrest's nervous system. The first mural they found was a closeup of human skin of the most recent victim. Strange entities begin to move towards Clara and Rigsy. The Doctor says these creatures are two-dimensional and are experimenting on gaining an understanding of the three-dimensional world. Clara gets a call from Danny, who hears them crash through a window and escape from the creatures. She lies to Danny about being in trouble. The Doctor overhears this and determines that Clara has lied to the Doctor about Danny being okay with her travelling in the TARDIS. Clara and Rigsy return to the tunnel where the community service group are preparing to paint over the murals. The Doctor realises that these murals are camouflage for the two-dimensional creatures. The creatures absorb one of the community service workers and then the paintings turn around to face the rest of the group. The group runs away and they take shelter in an engine repair warehouse. The Doctor helps Clara to communicate using mathematics, to determine what and how much they are aware of the impact they are having. They find that the creatures are aware due to their repeating back the numbers of the service workers they are consuming. They take another service worker, forcing Clara and the others to escape again into a subway tunnel. Their escape route has been flattened to two dimensions but the Doctor gives Clara a device to restore the dimensions. The creatures then emerge as three-dimensional beings, thus continuing their chase of the group. They're draining even more energy from the TARDIS. The group loses the TARDIS and it falls down a shaft onto an active railway track. The Doctor activates the TARDIS' siege mode to protect it from an oncoming train but there's no power to return it to normal. Clara uses the sonic screwdrivers to stop a train and tries to use it to hit the creatures but the train gets turned two-dimensional instead. Clara finds the TARDIS, which now looks like a Galifreyan cube. The group is in an office space. Clara decides to pain a fake access door on the back of a large poster so the creatures will try to turn it three-dimensional, which will allow Clara to steal the energy and feed it into the TARDIS. The plan works and the Doctor is able to send the creatures back to their original dimension after the TARDIS is restored. Everyone else returns to their normal lives as well.